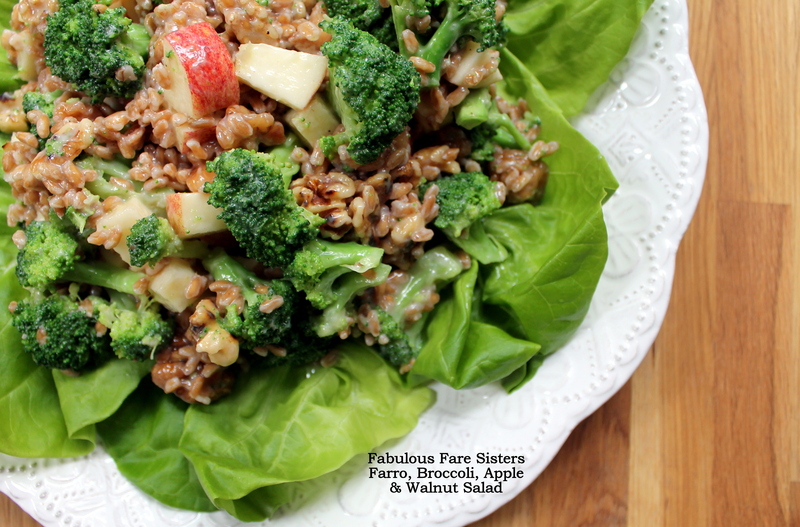 Place the farro in a medium pot along with 3 cups water and 1/2 teaspoon salt. Bring to a boil; reduce heat and simmer vigorously for 15 minutes. Drain and set aside. Meanwhile bring a second pot with two inches of water to a boil. Drop in the broccoli bites and cook for just two minutes; drain and plunge into an ice bath to stop the broccoli from cooking. Set aside. In a small mixing bowl combine the mayonnaise and the Smucker’s walnuts in syrup. Put the dry walnuts into a frying pan and toast lightly (2-4 minutes) being careful not to let them burn! 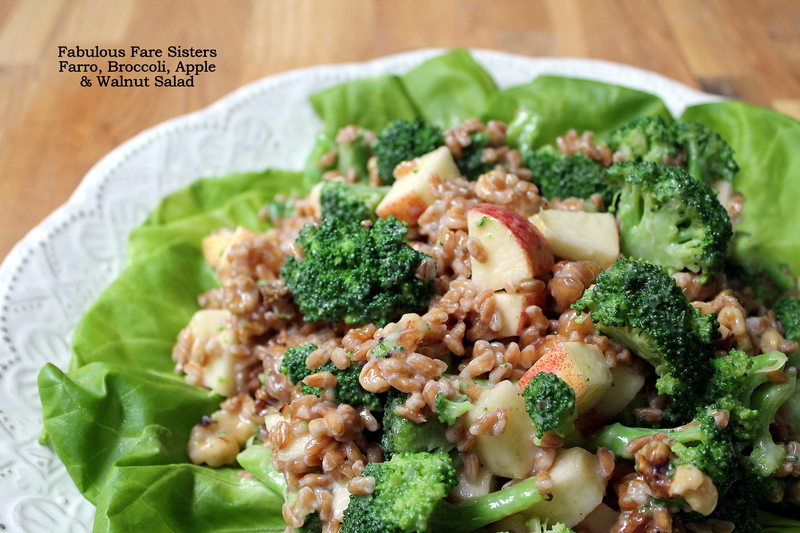 Place the farro, broccoli, apple and toasted walnuts in a large mixing bowl. Mix in the mayo-walnut mixture and toss gently. Layer Boston lettuce leaves on a large platter. 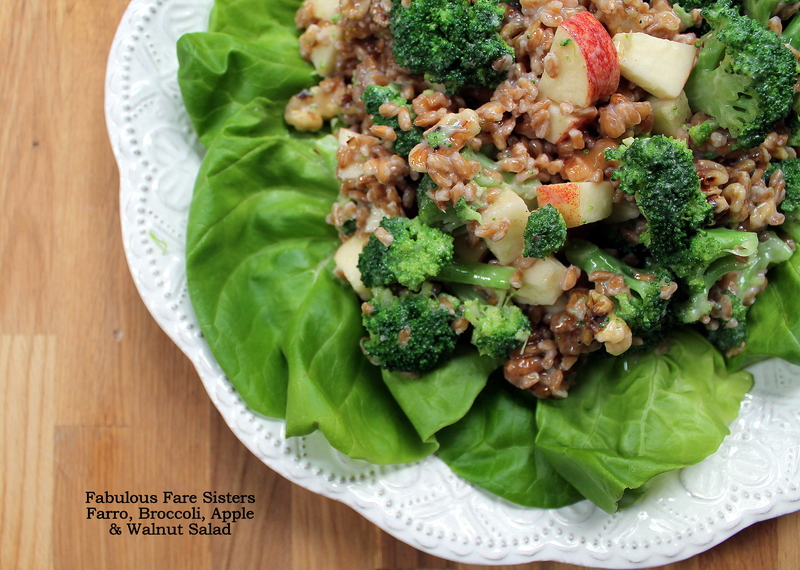 Scoop the Farro, Broccoli, Apple & Walnut combination into the middle. what a yummy looking fall salad! Thanks for linking up to Funtastic Friday! Was the apple that first caught my eye. A new combination is always a good idea. Looks like a delicious mixture!